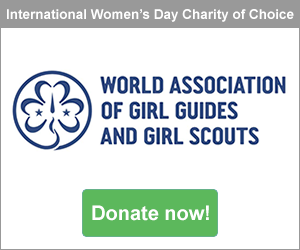 International Women’s Day and Penguin Random House want to give young readers access to new feminist icons and ideas: female authors and artists to be inspired by, women-centred stories to learn from, fantastic heroines to befriend. From time-travellers to detectives, supermodels to superpowers, this diverse collection includes something for everyone. This is a curated round-up of the best fiction and non-fiction books for raising the next generation of feminists. 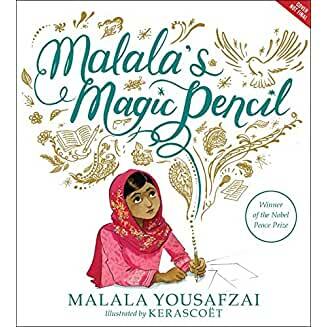 ​​Malala is an inspiration to girls and women around the world and in this beautifully illustrated autobiographical picture book, she brings her story of empowerment and hope to a younger audience. 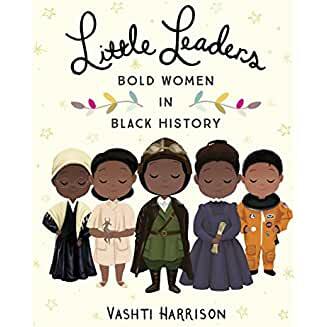 ​​Featuring 40 trailblazing black women from across the world and throughout history, this educational and inspiring book relates the true stories of women who broke boundaries and exceeded all expectations. ​​A feminist fairy-tale seeped in Eastern-European culture, about a little girl who comes to hate her shadow. 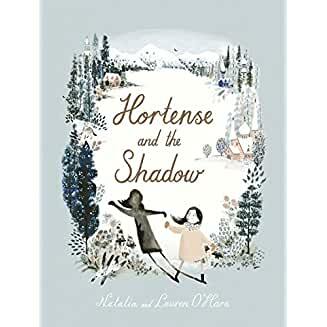 An enchanting fable with an important message about embracing all sides of yourself, beautifully told and illustrated by the O’Hara sisters - an exciting new pairing in the picture-book world. Four fantastic new adventures with the Doctor, starring four favourite companions Rose, Sarah-Jane, Clara and Bill. 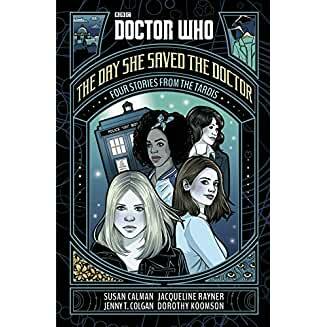 Celebrating female sci-fi writers, readers, and fans, this collection will publish on International Women's Day, and is the first all-female authored collection of Doctor Who stories. 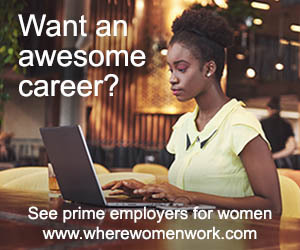 It’s the perfect way to prepare for the new series, which will feature Jodie Whittaker as the first ever female Doctor. 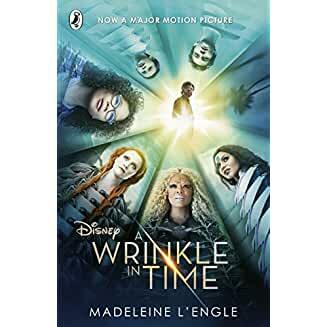 ​​When Meg goes searching through a 'wrinkle in time' for her lost father, she finds herself on an evil planet where all life is enslaved by a huge pulsating brain known as 'It'. How Meg, her brother Charles Wallace, and her friend Calvin find her father makes this a very special and exciting mixture of fantasy and science fiction. We also meet the unforgettable trio of funny and mysterious guardian angels known as Mrs Whatsit, Mrs Who and Mrs Which. It is a story bridging science and fantasy, darkness and light, fear and friendship. Over the last 50 years it has become a classic of children's literature and is beloved around the world. Bonus material in this edition includes a Q&A with the Madeleine L'Engle, and an Afterword by the author's granddaughter. Alfie can't believe his luck when he is allowed to keep a tiny puppy he found abandoned on the street. 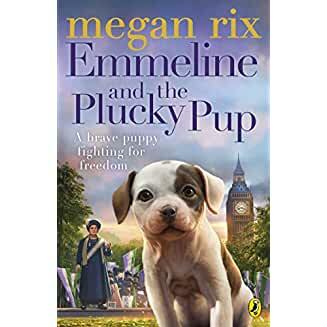 Rascal is cute as a button and has lots of attitude, and Emmeline Pankhurst is thrilled that her ward Alfie has a new friend. Alfie and Rascal deliver messages between the Suffragettes as they organise their 'Votes for Women' campaign. But it's sometimes dangerous work, and it's not long before Alfie and Rascal find out the true cost of the fight. 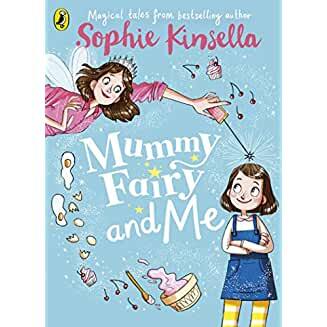 Ella's family have a big secret… her mummy is a fairy! She can do amazing spells with her computawand to make delicious cupcakes, create the perfect birthday party, and cause chaos at the supermarket. But sometimes the spells go a bit wrong and that's when Ella comes to the rescue! ​​Fennel and Twiglet are best friends. They do everything together, from curling up in their basket to playing fetch in the park. Twiglet understands Fennel like no one else, especially her life-long dream of winning Crufts. There's just one problem: Fennel isn't a dog. And a girl can't win a competition for dogs, no matter how much she acts like one. Can she? 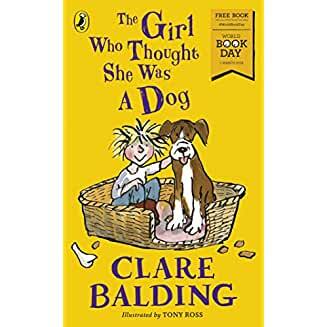 A brand new animal story especially written for World Book Day, from Clare Balding, bestselling author of The Racehorse Who Wouldn't Gallop. A funny, empowering book about being comfortable in your own skin, it will appeal to boys and girls alike. ​​When Hazel Wong's beloved grandfather passes away, Daisy Wells is all too happy to accompany her friend (and Detective Society Vice President) to Hazel's family estate in beautiful, bustling Hong Kong. But when they arrive they discover something they didn't expect: there's a new member of the Wong family. Daisy and Hazel think baby Teddy is enough to deal with, but as always the girls are never far from a mystery. Tragedy strikes very close to home, and this time Hazel isn't just the detective. She's been framed for murder! The sixth book in the series takes the characters outside of the UK for the first time - readers will love exploring and learning about Hong Kong’s culture alongside Daisy. The first in the series, Murder Most Unladylike, was the biggest middle-grade debut of 2014, winning the Waterstone's Children's Book Prize (Young Fiction category). 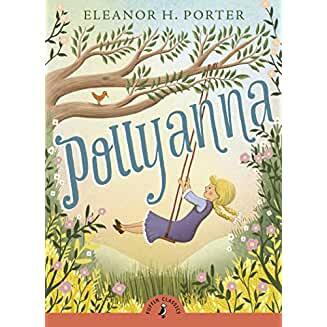 ​​As soon as Pollyanna arrives in Beldingsville to live with her strict and dutiful maiden aunt, she begins to brighten up everybody's life. The 'glad game' she plays, of finding a silver lining in every cloud, transforms the sick, the lonely, and the plain miserable - until one day something so terrible happens that even Pollyanna doesn't know how to feel glad about it. 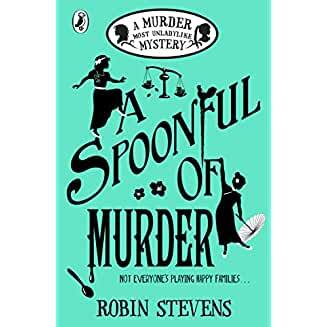 When two rich young gentlemen move to town, they don't go unnoticed - especially when Mrs Bennett vows to have one of her five daughters marry into their fortunes. But love, as Jane and Elizabeth Bennett soon discover, is rarely straightforward, and often surprising. It's only a matter of time until their own small worlds are turned upside down and they discover that first impressions can be the most misleading of all. Jane Austen's beautifully observed romantic comedy, specially abridged for Puffin Classics. 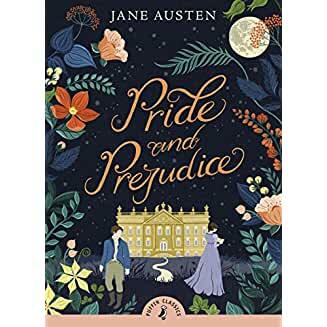 Pride and Prejudice is one of six Puffin Classics being reissued by Penguin Random House Children’s Books, in a stunning new series design by contemporary, up-and-coming designers. 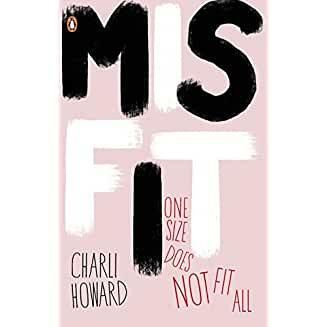 ​​When Charli, though medically underweight, was fired by her modelling agency for being too big, she decided she'd had enough. She used her platform for good and spoke out about the senseless standards of the modelling industry, whose images influence young women and girls all over the world. Now, Charli is comfortable in her skin for the first time ever, working as a plus sized model in New York. In this YA memoir, she shares her journey, from anorexic and bulimic teenager to happy, healthy twenty-something. After the huge success of blockbuster film Wonder Woman last summer, this highly anticipated interpretation tells the origin story of DC's most famous feminist. 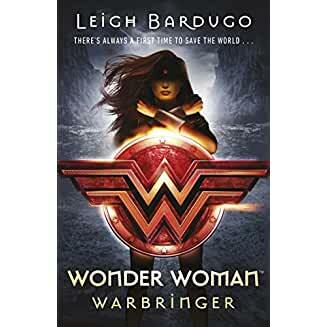 Written by the #1 New York Times bestselling author Leigh Bardugo, Warbringer is packed with wit, action, and adventure, and features a protagonist who stays relatable whilst having all the might of a true superheroine. ​​Ella Black seems to live the life most other seventeen-year-olds would kill for until one day, telling her nothing, her parents whisk her off to Rio de Janeiro. 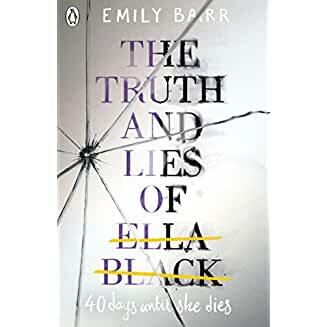 Determined to find out why, Ella takes her chance, searches through their things, and realises her life has been a lie. For more information, ​to ​review copies or ​submit ​publicity requests, please contact Lily Lindon​, Publicist at Penguin Random House Children's​.